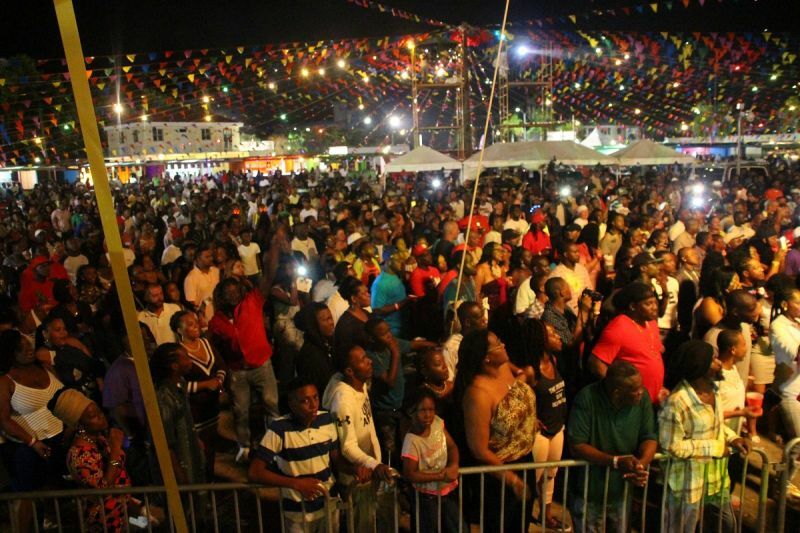 ROAD TOWN, Tortola, VI- The much needed energy for Emancipation Festival was given last night, July 29, 2016 by Jamaican artists Beenie Man and Sizzla Kolanji as the two men drew and energised a large crowd at Rita Francis Festiville in Road Town. The dancehall artiste Moses “Beenie Man” Davis pounded hits after hits, such as King of the Dancehall, Girls Dem Sugar, I’m ok, Drinking rum and red bull; while conscious reggae artist Miguel Orlando “Sizzla Kolanji” Collins, sang Dry cry, Solid as a rock, Thank you mama, Woman I need you, Simplicity, Black woman and child, among others. This was the 4th performance in the Virgin Islands for Sizzla, who has been labeled a controversial artist and banned from several countries around the world for his onstage attack on lesbians and gays. “Tortola! Don't love no funny man…Don't take bribe from no funny man ….No funny man inna Tortola….Burn fire pon lesbians,” Sizzla said, living up to his reputation. He also put on blast the practice of skin bleaching, advising that the territory should not allow the practice to infiltrate its borders. "You see the bleaching thing that around, try don't make it reach here. 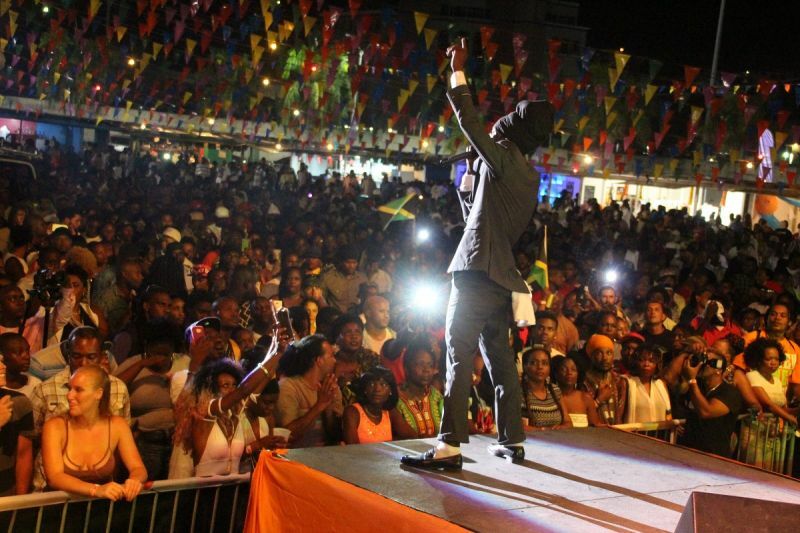 When you look pon the television you see all kinds of terrorist act, try not make it reach here because we don't want it here and those things will only distract you from education, development, and repatriation,” he said before closing his performance. He also mentioned his disapproval of the shooting around the world among police and civilians and general gun violence. “Me ah also bun domestic violence, we don't want to see nobody get shoot by police down here, and nobody ah shoot police. 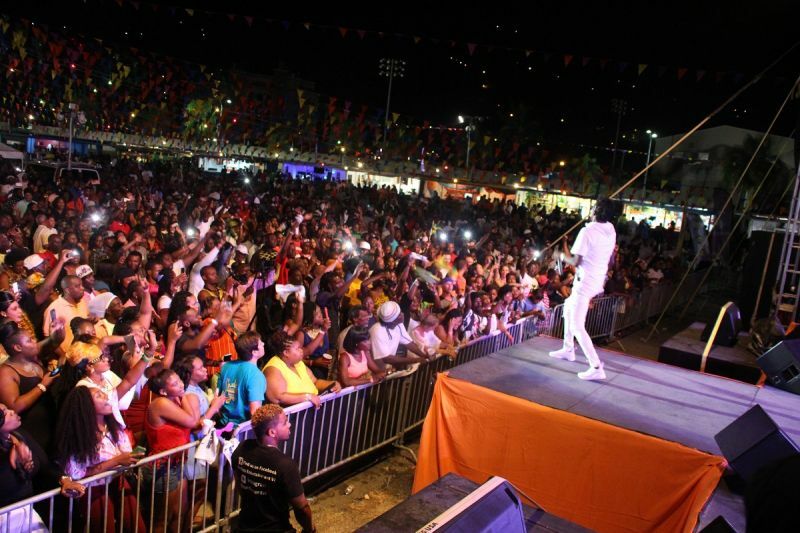 Keep Tortola clean, lead by example," Sizzla appealed to residents. Beenie Man, despite recovering from the mosquito-borne Zika virus, said he made a special effort to perform and perform he did! Zissla is a true and courageous Rasta preacher that advocate rightfulness... The preacher them should learn something and focus on the wrong before their eyes. But they don't have courage or the will or they afraid their collection will shrink..
Every festival, artist like sizzler them come here to my beautiful BVI to cast judgment on others, I would like to know what they short comings are, look at beniee man, his pants are always tighter than most woman, BVI people, we must demand better, it have artist out there like Jr. Gong and Ziggy marley, those are the type of artist we should be bringing here, they spread nothing but love, if we bring these guys, then everyone can come out to the village, not only the ones who don't give a $hit about others, its festival, it should be for every one, lets put a stop to this crap, our forefathers who took the punishment for our freedom are rolling over and over each year from the wrong choices we make to show our appreciation to them! You should so $&&%*$ stupid - like you ah deal with them nastyness• Sizzla spread love• you'll to blind to see it. Sizzla is like the friends you'll never have as he tell you like it is. People don't like direct hard truth. It may sound offensive but is it really? If Sizzla never cared about us he would have just come sing and leave. The fact that he reminding us about what's going on is a statement he cares - it's tough love. Damain Marley would have blze the same fire as well. If your not dealing with the duppy don't worry, from you know you're dealing with the duppy then you'll feel bad.... Sizzla did noting wrong it's just that the wrong is the new right and what's right is the new wrong - yet in gods eyes wrong is wrong and good is good. Brake the taboo - stop the s*cking living lifestyle..
every show is the same, he says and sings the same damn thing over and over, might as well next year we just have a live recorded of this years show and save thousands of dollars bringing him inn, next! i don't, but if I did, that would of been my business not yurs nor sizzler.. that's the point I am trying to get across, who is sizzler to judge me or in this case them, if sizzler night should turn to day, i am sure he will hang his head with shame, and u also rastari king/queen, your screen name alone says u are a little confuse with your gender, lol, lol! I hit yur soft spot, all we got to do is mind our own damn business, im out! @wize up- No wonder you crying soo; 30 gees and you good to go- into complete silence! LOL! @ wonder.....that is from 2015; I have not mentioned 2016 but God is good!!!! @wize up, so once you collect your 30 thousand from the next big haul of the $25m loan, your next move is to join the uninterrupted silence, like the rest of the cronies, "for our beloved blogger," we can presume. The clarion call has been trumpeted! 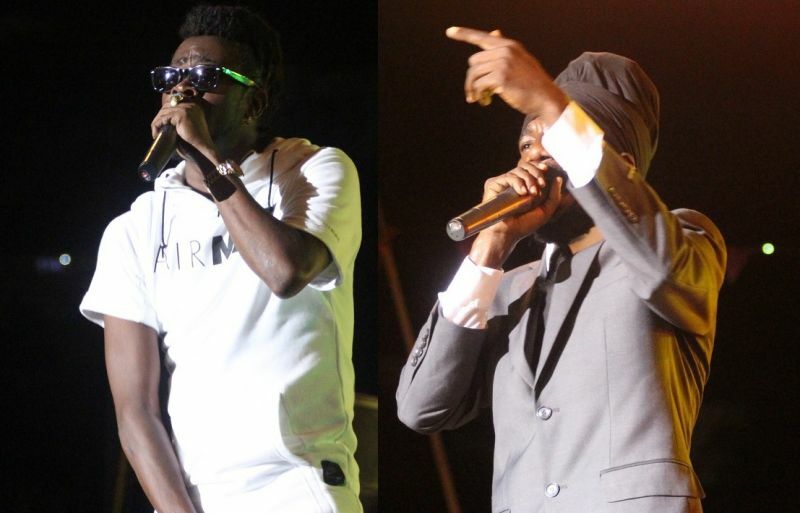 Even Sizzla warning us to not be fooled by this funny man, myrum. This emancipation celebration is our ting, not his. We need to go out and have some fun; this celebration only comes around once a year and we can not allow these politicians to spoil the fun. For myrum, his turn will soon come for us to emancipate him from our government leadership and his "hitler" tendencies before we know it. @ I repeat. You're funny and hilarious as that dog walking on two feet clad in suit and hat. What do you mean by This emancipation celebration is our ting, not his? Are you still harping on that old line that he's not a BVIslander? Is you saying that he is not a pure bred? Ok! Whose thing is it? the Ag Minister, the MCW minister, the Health minister? I love how folks who has dual citizenship can label others outsiders while they make no clear pledge to any of the flags they fly under except to type foolishness. This continued divisive rhetoric is way pass ridiculous. Ex-Minister of Culture: " . . . it is the minister’s festival." 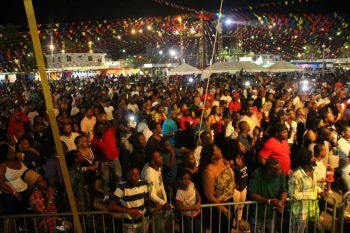 Since when our Emancipation Celebration - the people's August Festival - belongs to any Minister? Y'all need to think before you blurt out nonsense. Now, Tallfat, you here trying to defend. Y'all start wrong, so how can you end right, when none can tell the other any better with the divisive talk. Show love, not sarcasm. Though I didn't attend heard it was nice really love my old school music real music not what they call music now ..
How the minister pay for a guy to come here and call him name? home boy not getting invite again; on stage singing about homosexuality and his payment coming from the same kind of camp!!!! Every Jamaican hair dressers in the Bvi is bleaching their skins. From eclipse rite around to mello moods!!!! Is he lying or not.? Of all of those things affecting society today, why are these guys and many preachers obsessed with homosexuality..? They can talk about all sorts of important thing but it's always gay people they are bashing? Protesting too much! Look at him with his preened eyebrows and jewelry and pretty hair a furtive poses etc. Don't refer to the bible to back up the bigotry either because that was the handbook used by slave masters. Concern yourself with how we mistreat, cheat and hate rather than how we love. Sizzla keep the fire ever blazing but the place turnt long time dadda. Lawdie! Lawdie! I got a good laugh this morning.......people never cease to amuse me! But, seriously though....those local folks that are still waiting for payment from last year need to stand up for themselves!